Fabiola uses dance as an agent for social change by creating opportunities for marginalized communities to share their experiences. She understands the importance of sharing these stories because her own voice and perspective as a queer working-class Latina immigrant is unique. She shared with me her story and how her work keeps pushing her capacity. 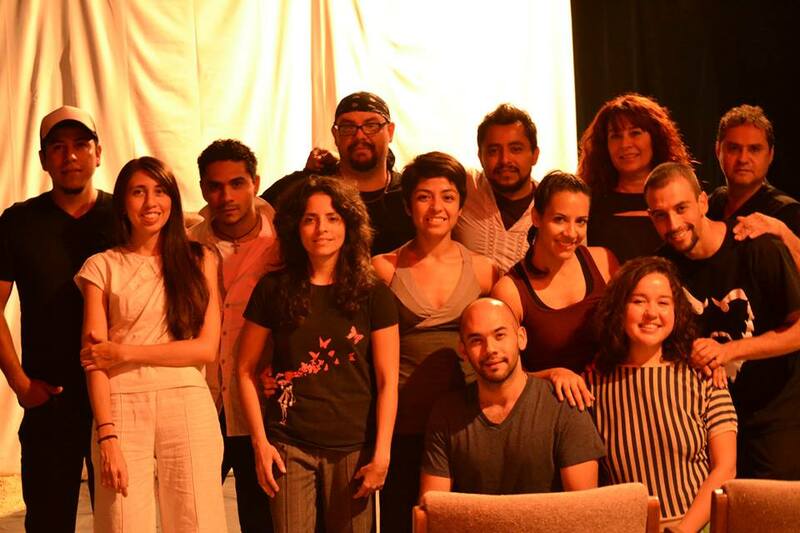 I’m a dance-maker, and I use dance as a means to share the stories of marginalized communities and perspectives. I use dance-making as a space for individuals to learn to connect with their bodies, each other, and the environment. This becomes a place for individuals to ground themselves in their bodies and identity, in who they are, and where they come from. I use dance as a catapult and point of inquiry for thinking about how we’re all different and interconnected. I use tools that are friendly to those who may not have “formal” dance experience so that it is accessible to all and to redefine what dance is, who gets to make it, and who gets to present it. I create space for people to share and learn from varying perspectives and experiences. I work with youth through elders, everyday people to self-identifying dancers, and in a variety of different settings; sometimes it’s in a traditional dance studio, other times it’s in community centers, cultural arts organizations, backyards, public parks, night bars, or non-profit spaces that focus on community building, art-making or service. One aspect of my work is teaching, and another aspect is making dance; sometimes they’re intertwined, and other times they’re separate. Lately, a lot of the material I generate has to do with my experience as a once undocumented immigrant. I speak from where I stand as a feminist, who holds intersectional politics and views the world through a postcolonial and social justice framework with the understanding that not all of us speak from the same cultural inclinations as mainstream U.S. society. As a working-class immigrant and as a queer woman of color, I think about the ways this informs how I relate to my body and how I am seen. My dance practice is also rooted in my experience as a community organizer. That’s where I learned how art can be a tool for transformation, and how to mobilize individuals around an issue. I’m a person who has a lot more access than many in the world because I can speak English, am based in the U.S., have traveled nationally and abroad, and have some formal education past high school. I ask myself what my accountability is as an art-maker and to the various communities that I am connected to. I like to use dance as a way of addressing difference, power and privilege. How did you get into dance, and what was the catalyst that made you realize you could use dance in this vein? I’ve always loved dance. It took me a long time to accept it though. I didn’t have opportunity to formally study growing up; I’m the oldest sibling in a traditional working-class Mexican household. I always had a lot of responsibility and felt a lot of pressure to make something of myself that would provide stability for my family as newer arrivals on this part of the land. I thought I was going to be a community organizer, but then I got burned out, which was important, because it brought me back to dance to heal. I didn’t pursue dance as an undergrad because I didn’t see examples of what I thought dance could be. It did not speak to me. For example, I was in a pre-professional dance company that was part of the parks and recreation department of our city my freshman year in college. We trained in ballet, jazz, hip hop and tap, and then performed consistently throughout the summer. 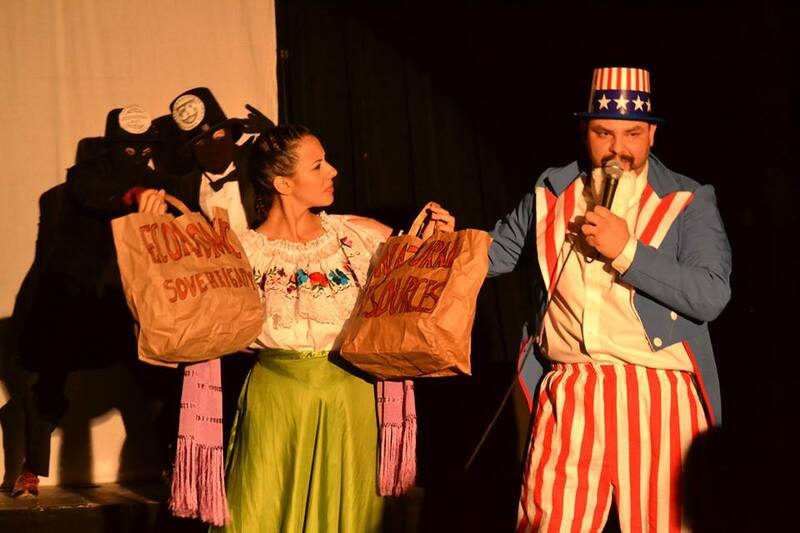 We performed for a lot of tourists who were mainly white, and it made me feel weird as a brown person because our tourist economy is built on the commodification and exploitation of Mexican culture. That was problematic. I also asked what dance is for. It was fun, but I had started to develop the idea there was “real” work to do, that my intellect and passion could be put to better use. I relearned how art can have impact on historically oppressed communities. As a cultural worker, I supported the work of other artists, and learned how to cultivate spaces where folks could be engaged in social justice through art, but I did not identify as an art maker myself. I also learned about what dance meant to non-western communities through my studies in anthropology along with some brief training in Danza Concheros and how it was sometimes used as a space for resistance, revolt or to provide a counter-narrative to hegemonic discourse. This influenced me to see dance in more multi-layered and holistic ways. After burning out from community organizing, I found myself back in training. My mentor, Erica Wilson, tried to give the equivalent of a four-year undergraduate dance experience in a two-year community college setting to encourage her students to pursue professional careers. Most of the students in the program were like me but she encouraged us to be choreographers, not just performers, and taught us to see dance as an art-making form. When I think about my own personal trajectory, I started working when I was 13. I knew I needed to go to college and there wasn’t any money, so I started saving. I took on the role of a co-parent early on because both of my parents worked a lot and there were always financial crises to tend to. I’ve always been in the head, wanting to learn more, experience more and grow more. I wanted to imagine myself beyond my daily reality. I learned early on that education was a way out of poverty. While studying dance, I recognized it is a privilege to train your body for more than 10 hours a week. I feel very fortunate that I can invest so much time in my own growth and creativity knowing that most never get that opportunity. My mom, for instance, has always cleaned houses for a living. While she is very proud of being her own business owner, she breaks her body, none the less, doing it. The use of her body is very utilitarian as is the case with most of the working poor, meanwhile I get to choose how mine will be used. I believe we embody our experiences and hold trauma in our bodies, especially thinking about the intersections of race, class, gender, sexuality and nationality. Historically, our bodies have always been treated as property for the taking; they always belong to somebody else. There are always entities that fight for a say in what we can and can’t do with them. If you are queer or trans-identified, the way you present your body can have dangerous ramifications when walking the streets. We have extensive history of our bodies being exploited as labor and capital for somebody else and, as immigrants, our bodies can be displaced at any point without our consent. I’m very cognizant of the body and all it can mean, so I feel like dance-making is a space to claim agency. Where do we hold stories in our bodies? How do we release, connect and re-engage? For folks that sit on the margins, in order for them to feel like they can do something about their lives, they have to feel grounded – grounded as in: this is who I am, this is my story, this is where I come from. Infrastructure is an ongoing issue, but then I know how to put things together and I have this idea that I can do anything with community support. I’ve been using infrastructural challenges as an opportunity to figure out how to do things differently. That’s what folks have to do anyway who don’t have access to power and resources. I’m learning and trying new things. I’ve been thinking how I can build capacity for other talented and passionate individuals. I’ve had to develop new social skills and emotional tools. If you’re doing challenging work, self-care and spiritual groundedness become necessary. What is needed to not give up? What is needed to help people see possibility? I had gotten comfortable being held by community, but I didn’t see myself strongly in terms of holding a spiritual space. As an organizer, I always dealt with the logistical side of things. Now I’m having to deal with the emotions that come with it. I’m not used to speaking from that place, but it’s good because I’m finding that as I work further out beyond my immediate community and am finding myself to be more and more an anomaly, I’ve had to develop a different kind of fortitude in order to keep going and value myself. Thinking about the effect of your work, what does success mean to you? How do you gauge your success? Success means impact. What kind of impact did I have on the folks who participated or observed? It’s about building stronger relationships, developing intentional spaces, and creating new meaning of what we think we already know about ourselves and each other. As a choreographer, I take my cues from the people around me. I’ve grown to understand relationships in a more integral way beyond one issue, a movement or the moment. It makes me excited to connect with new people. I see potential. It’s about opening a new door, a new space, or finding new audiences or communities. It’s exciting to see people develop a new relationship with dance and movement. It’s exciting to hear people say, “Oh, this is what it means to breathe or release my weight or touch another person.” I really appreciate the awareness dance can bring into people’s lives. It keeps us whole. 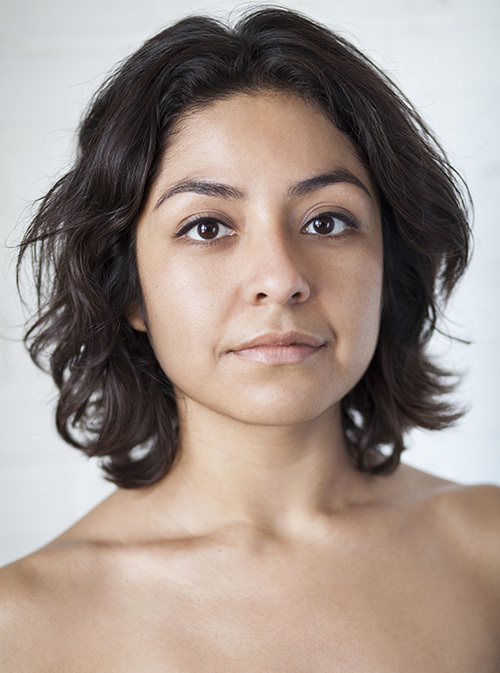 Fabiola Torralba is an educator, artist and activist. 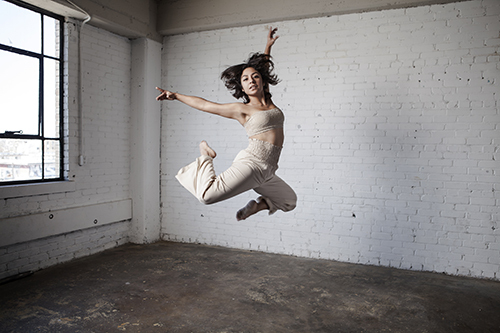 After several years of community organizing and cultural work in San Antonio, two bachelor’s degrees, and some ethnographic fieldwork, she returned to dance and trained under Erica Wilson at Palo Alto College, receiving an Associates of Arts with some additional training under the Urban Bush Women and the Liz Lerman Dance Exchange. She collaborates frequently with local artists, schools, galleries, community organizing entities, and non-profit organizations. 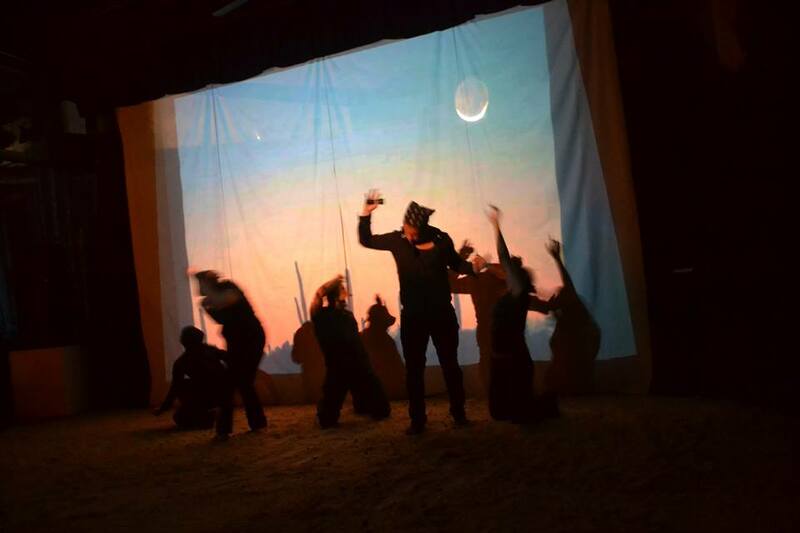 Previous works include This Bridge We Call…, XVoto, Me Gustas Cuando Callas, and nos(otros) ¡somos!, a full length multi-disciplinary performance centered on immigrants telling their own stories. For more information, visit fabiolatorralba.wordpress.com. Photos courtesy of the Esperanza Peace & Justice Center and ZaaZaa Productions.